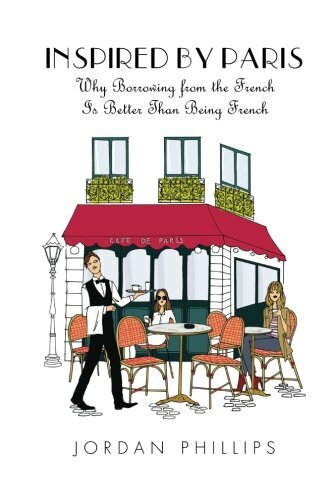 about this book: Inspired by Paris: Why Borrowing from the French is Better than Being French is a mix of travel narrative nonfiction and how-to, with a smidge of cultural friction. It is filled with historical tidbits and inspirational anecdotes, offering an insightful behind-the-scenes look at life in Paris, beyond just the fantasy version. Inspired by Paris will speak to everyone who dreams about France, but it will also resonate with anyone who has struggled with self-confidence or fitting in. The book uses a "travel of the mind" approach, taking into account that not everyone has the time or budget to make immediate travel plans. French films don't need to have a happy ending or even an ending at all. Travel is the same; you can save, plan, anticipate, and complete a trip to Paris, or you can just be inspired by Paris. Either way, if you go about it with an open mind and a desire to learn, you will not be disappointed.